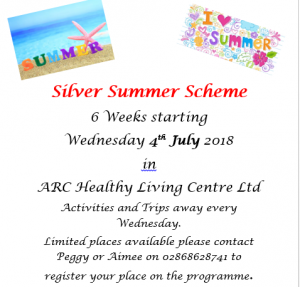 Registration is open for our Silver Summer Scheme, calling all over 65’s!! 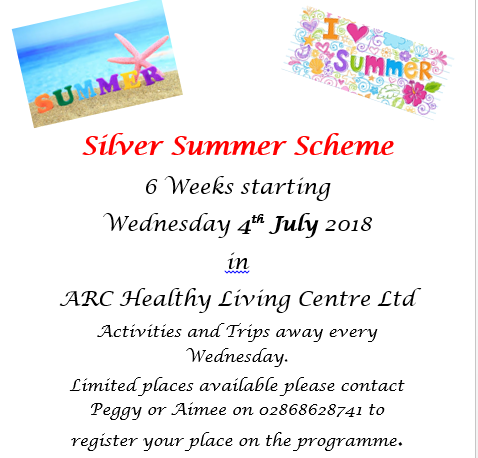 Anyone interested in joining us for 6 weeks of activities and trips every Wednesday please contact Peggy or Aimee at the ARC. 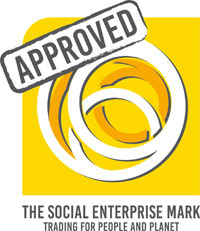 This years summer scheme has been kindly funded by Trusthouse Foundation.